Our Heidelberg Printmaster® QM 46 allows us to do small-format offset work quickly and cost-effectively in high offset quality. 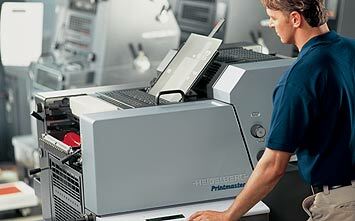 A high level of automation, exceptional productivity and fast make-readies are the key benefits of the Printmaster QM 46. Typical print jobs include two-color brochures, forms, business cards, letterheads, envelopes, and stickers. The press reliably handles traditional metal as well as polyester plates. Our Illumina Digital Color Press allows us to create beautiful full-color business cards, brochures, postcards, posters, and invitations from a PDF file. 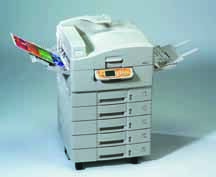 If you need just a few or a few hundred, this press provides an affordable and fast alternative to color copying with brilliant results. For larger full-color projects, we work with a print partner. Their six-color press includes an in-line aqueous coater for fantastic results. Most large jobs can be completed and delivered within ten days of ordering. Heidelberg and Heidelberg Printmaster are registered trademarks of Heidelberger Druckmaschinen AG in Germany, the United States and/or other countries. Illumina is a trademark of Xante´ Corporation.